Accurate, up-to-date and high-quality information is essential for the sustainable management of water and land resources. SWALIM (the Somali Water and Land Information Management project) has made huge strides in increasing the quantity and quality of available baseline data and information on land and water in Somalia. In over a decade of work, SWALIM has largely recovered the historical data of more than half a century which was lost or dispersed following the collapse of central government in the early 1990s. Although there are still gaps in the information, much of the institutional memory that was lost has been recreated through a combination of recovery of existing information and the acquisition of new data. This information requires structural management, processing, review and collation into modern computer systems and databases, from which conclusions on the state and quality of water and land resources can be drawn. Subsequently, policies and recommendations can be developed to support decision-making on the sustainable management of land and water resources by stakeholders. 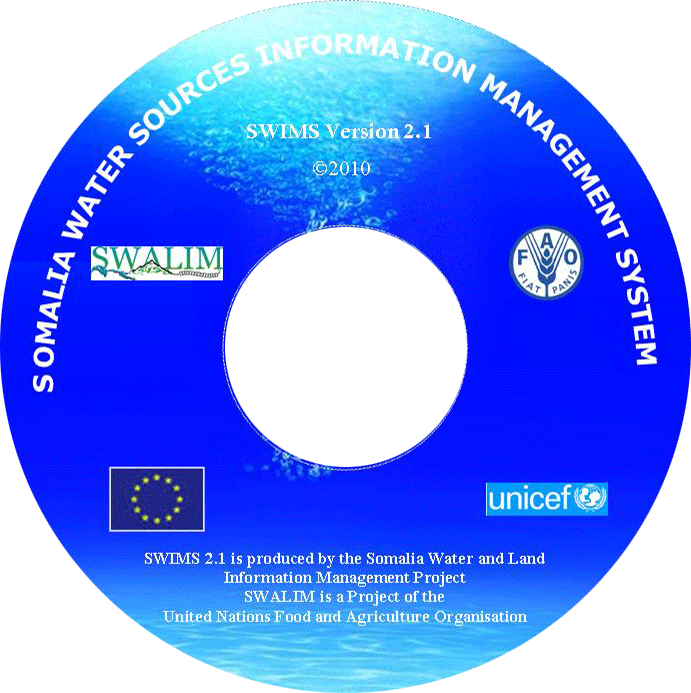 The Information Management unit of SWALIM provides support for information management activities, develops procedures, guidelines and standards for data and information storage, processing and access, as well as builds information technology solutions and products for SWALIM and its partners. ♦ A digital mapping application (or Geographical Information System – GIS) and catalogue for geo-spatial data, maps, Remote Sensing images, etc.